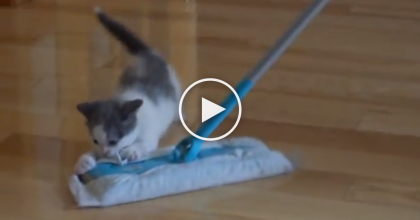 They bring home a new toy for their kittens, but when this baby munchkin gets ahold of it? LOL, she won’t let go! 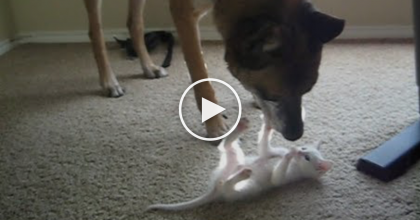 The toy is on the end of a stick, and both kittens are having so much fun with it. The orange munchkin finally grabs onto it and refuses to let go! 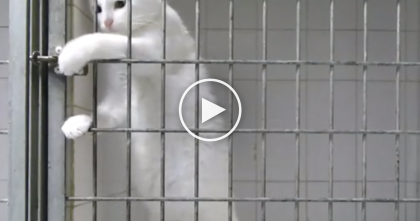 Even when they lift the toy off the ground, the kitten is determined to hang on! It looks like they’re “cat fishing” LOL. 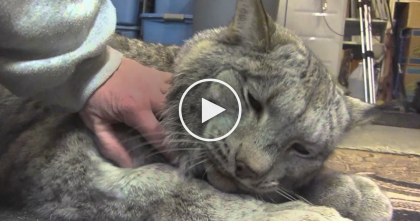 Video Of Big Sweet Cuddly Lynx Proves That Even Big Cats Love To Cuddle… This Is AMAZING! 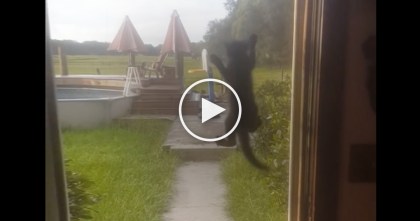 Kitten Does The CRAZIEST Thing Ever When He Wants To Come Inside…NEVER Seen Something Like This! !